Rick’s Happy Holiday Free Book Give-Away Time! Posted on November 22, 2018 by Richard H. McBee Jr.
It’s that time of the year! Rick’s Kindle Giveaway Time!! Keep these dates when you and your friends will be able to receive free books of your choice. Forward this to as many of your followers as possible so they can share in the Holiday Joy! I decided to rotate my Kindle Kindle Direct Publishing books through the offers they allow authors to give during a 90 day period. This means I will give enjoyment to others by offering my books FREE! For a limited period. With only a few weekends between now and when holiday celebrations begin: Christmas Eve Christmas Customs, Hanukkah Hanukkah Customs, and Kwanzaa Kwanzaa Customs , to name only a few of the celebrations this time of year. It’s a great time for people everywhere to relax and celebrate with a good book. 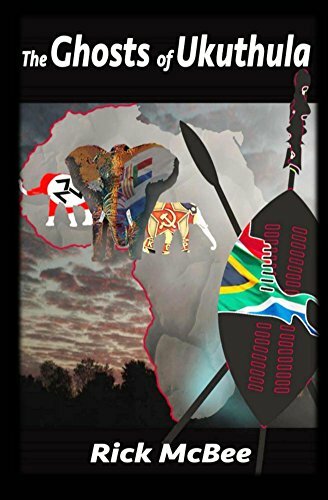 I will be giving away my South African Liberation Novel: The Ghosts of Ukuthula for 5 days: November 23, 2018 through November 27, 2018 between the hours of 12AM PST and 12PM PST (that’s GMT minus 8 hours for those of you on the other side of the planet. Check it out! B. For all of you true to life history buffs, I will be giving away my Civil War History Book: Rough Enough, for 5 days: December 7, 2018 through December 11, 2018, again between 12AM and 12PM on each date (GMT minus 8 hours) Check it out! C. And Last but by no means least! For all of you traveling to Florida or the Caribbean I will be giving away my Seashells of the Caribbean book for 5 days: December 14, 2018 through December 18, 2018, also between 12AM and 12PM on each of those dates (GMT minus 8 hours) Check it out! Enjoy all your reading this year. And Guess What? After a two year haitus, I finally found that I still have words coming out the tips of my fingers! So there WILL be a new book out in 2019. Hip – Hip Hurray! Enjoy Thanksgiving and have some very Merry Holidays! All the best for 2019! My books are also available in Paperback on Amazon at reduced Prices -Not free! Thanks for the great greeting! Hope you also had as fun a time as we did with friends in Portland. WOW Rick! Great news that you are still writing! Looking forward to the new book in 2019!!! Got to keep the fingers moving and the brain whirling this time of the year so we don’t get bogged down with the trivia.